As you can see, this list is pretty big. If you don't know the ins and outs of the bloggers chats. 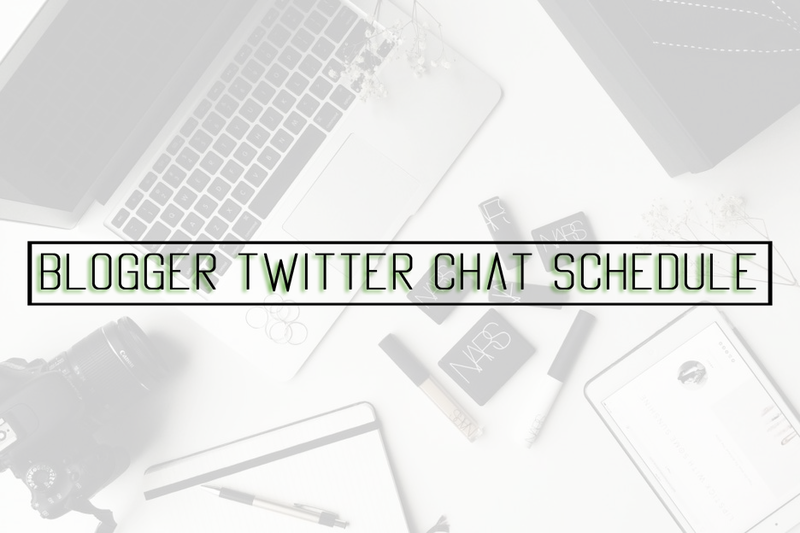 At certain times, different chats are hosted for different types of bloggers. For example, on Wednesdays there is a Lifestyle Bloggers Chat at 7-8pm. This means at this time, if you search the hashtag #LBloggers you will see different questions and discussion between bloggers. Usually at the last 5 minutes of the chat, you share links with each other. This is the best way to find new bloggers and let new readers find you. Did you know there was this many Twitter chats hosted? If I've missed any, let me know!